After two great days in Santa Fe, we got up early and hit the I-40 west, which is the main artery that replaced Route 66 in connecting the southwest to Los Angeles. 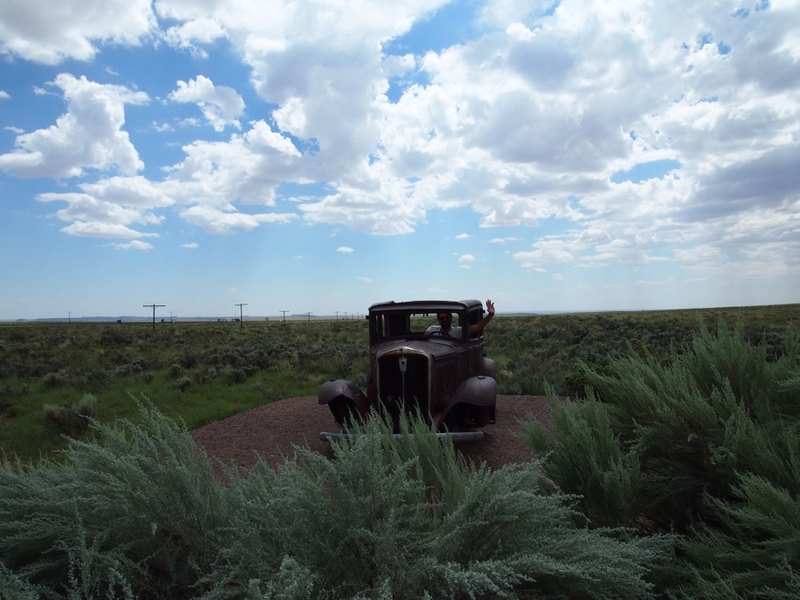 We, however, had different destinations in mind: Sedona, by way of the Petrified Forest and Painted Desert National Park. The trees that make up the 200-million-year-old “petrified forest” were part of a tropical ecosystem buried in layers of sediment by a huge river. Over time, the silica gradually replaced the cells in the wood, resulting in massive petrified logs. 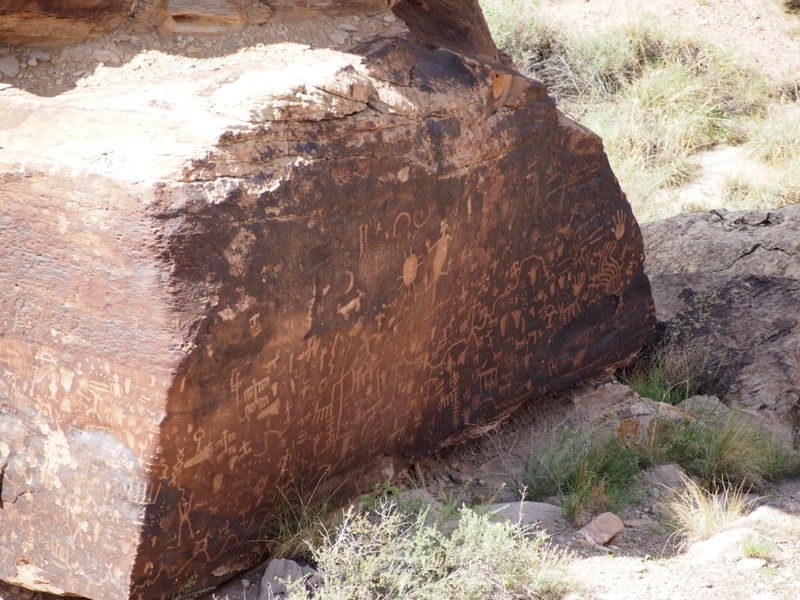 The park also includes impressive petroglyphs and the remains of an ancient pueblo. After the park, the I-40's straight, flat course is suddenly interrupted by a large, forested mountain rising up in the middle of the arid plain: Flagstaff, the gateway to the red rocks of Sedona to the south, the Grand Canyon to the north, and thankfully for us, the best roadside burgers to date. We camped for the night near Sedona and took in the town the next morning. It's small, with a downtown mostly peppered with tour companies and new-age shops selling crystals, but the red rock view is unbeatable. 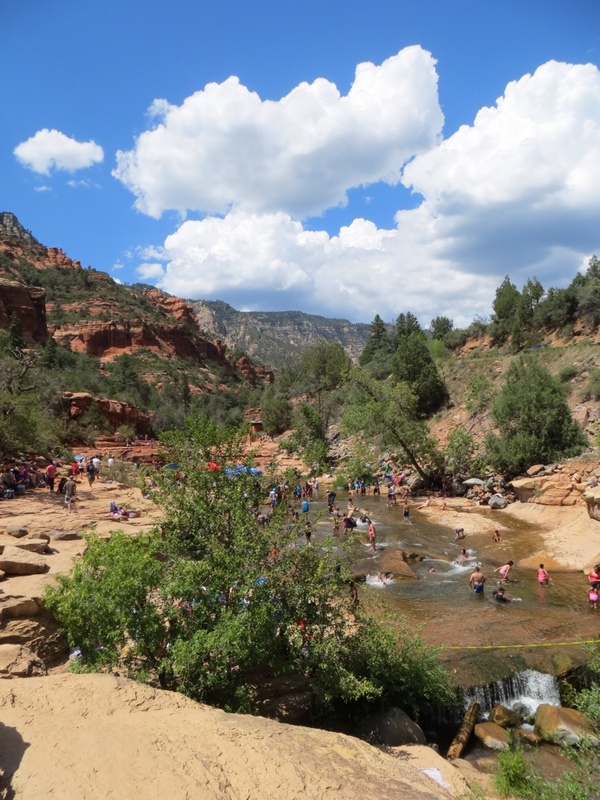 Like the locals we spent the hottest part of the day at Slide Rock State Park, where a creek smoothed rocks into a perfect, ice-cold natural water slide. 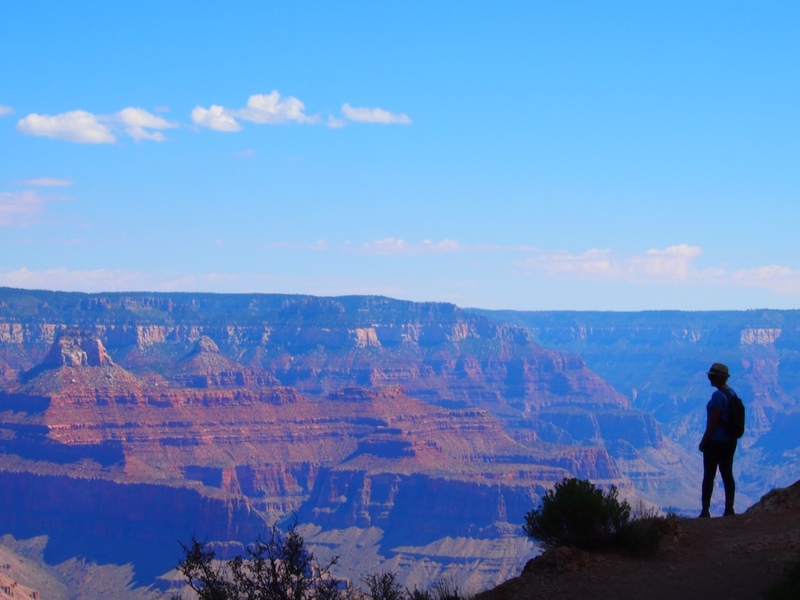 Up next was the mother of all tourist destinations: the Grand Canyon. 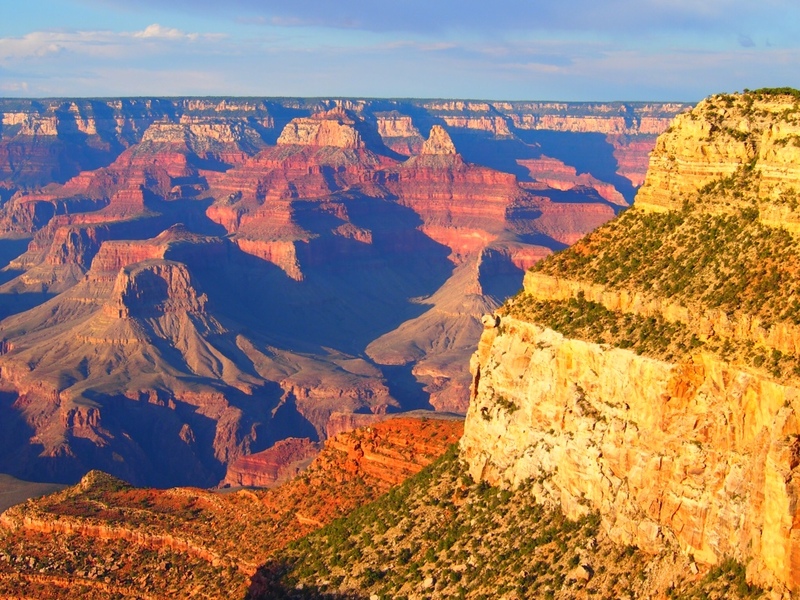 There's no question that it's incredibly impressive – all the more so if you have a chance to hike below the rim and see it at different angles. We did some day hiking and visited the Desert Tower, from which you can see the Colorado River way, way below. All in all, Arizona was pretty awesome. 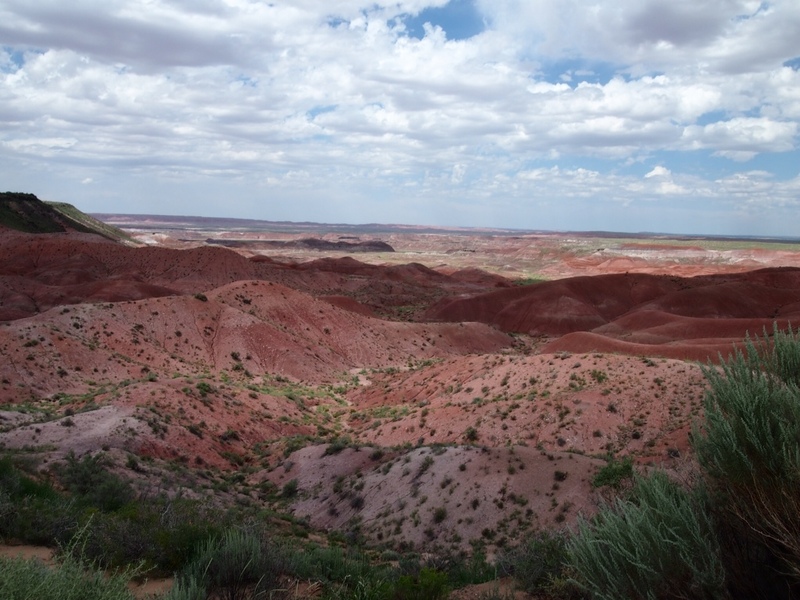 The Painted Desert, as the name implies. 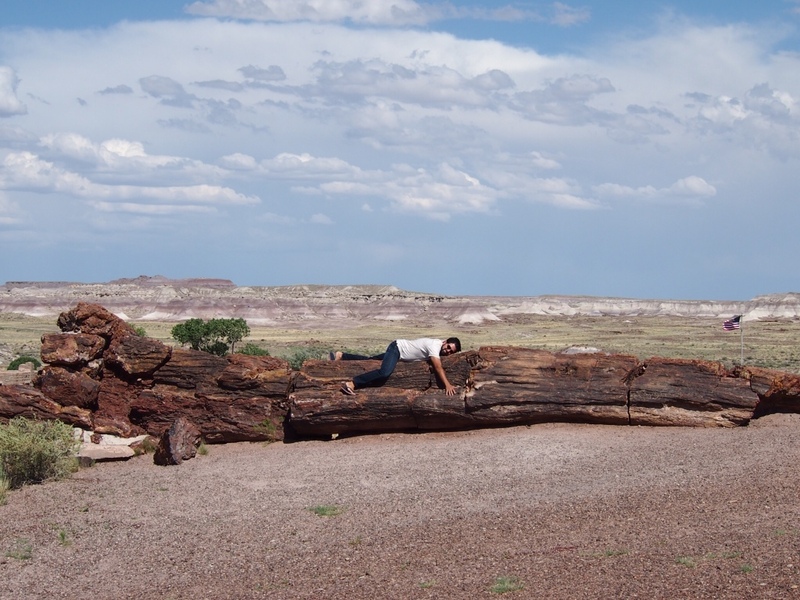 Kiavash hugs all trees, even petrified ones. Petroglyphs are all over the park. A little homage on the old Route 66, which was replaced in this area by the I-40. 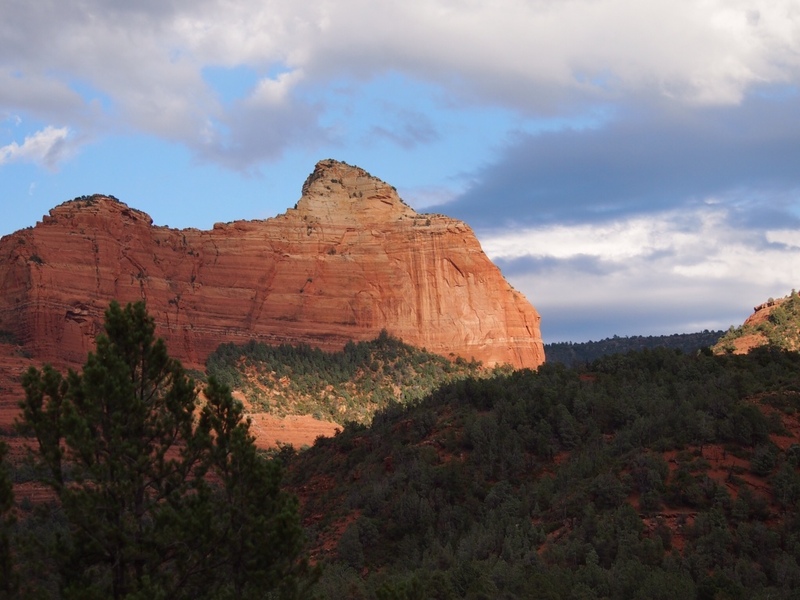 The famous red rocks of Sedona. Sliding rocks, fun not just for children. Here it is! The Grand Canyon at sunset. I'm not nearly as close to the edge as it looks, but any view over the edge is fairly vertigo-inducing. 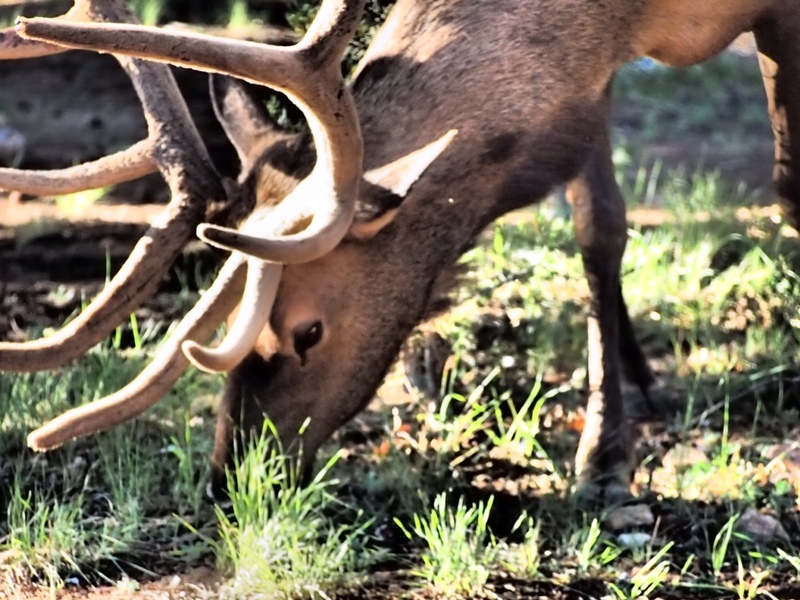 Up close and personal with an elk that nonchalantly inspected our campsite.